Limited Edition Roxanne Chalifoux bobbleheads are now available exclusively through the 30 day Kickstarter Campaign at bit.ly/NovaPiccolo. After the tournament ended, we realized that a bobblehead would be the perfect way to capture this unique moment forever. 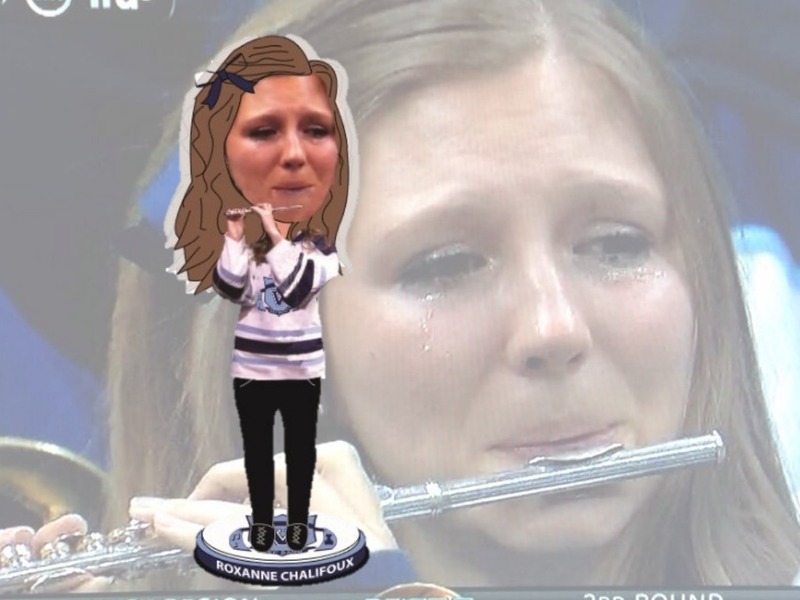 Today, the National Bobblehead Hall of Fame and Museum (http://www.bobbleheadhall.com) launched a Kickstarter to produce bobbleheads of Roxanne Chalifoux, who became an online sensation when a TV camera captured her crying while playing the piccolo in Villanova’s band after the number one seeded Wildcats were upset by N.C. State in the NCAA Tournament in March. A rendering of the bobblehead depicts Roxanne, who became known as the Piccolo Girl, in the pose that was caught on TV. The Kickstarter seeks to raise $5,000, with contributors receiving the bobblehead and other unique rewards. It is unlikely that the bobblehead will be produced in a larger quantity if the Kickstarter goal isn’t met. A portion of the Kickstarter proceeds will go to Roxanne and the Villanova University Band. Roxanne is currently a biology major with a psychology minor. 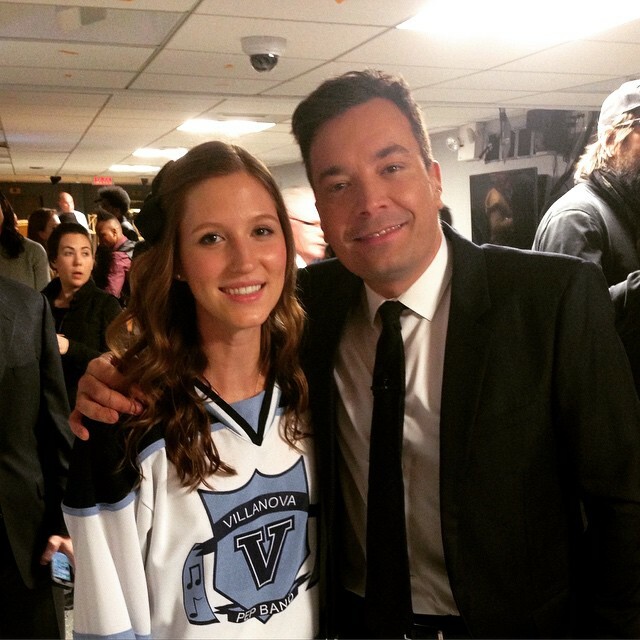 She has played in the Villanova Band since her freshman year and loved every second of it. Although the piccolo gets all the credit, she is also an avid bassoonist. She is officially a Villanova Band alumna and will be graduating from college on May 15. She then heads to the Pennsylvania College of Optometry in August to pursue her dream of becoming an optometrist. The first 250 Kickstarter Backers will receive the bobblehead at a discounted price of only $15 plus shipping, with the price increasing to $20 for subsequent Backers. The Kickstarter Campaign is the only way to guarantee a bobblehead. The Villanova University Band, part of Villanova’s Music Activities Department, actively fundraises during the year. The “V Shirt” sales and weekly cake sales help raise money for new basketball uniforms each season, the annual fall break service trip, new instruments, instrument repairs, and the annual band camp every August. Roxanne chose for a portion of the proceeds to go to the Villanova Band since it was an enormous influence on her college experience. Roxanne had the time of her life during her four years at Nova, and many of the amazing memories were made as a VU Band member. The National Bobblehead Hall of Fame and Museum is headquartered in Milwaukee, Wisconsin, and will feature the world’s largest collection of bobbleheads and bobblehead-related exhibits when it opens in 2016. The Hall of Fame and Museum also designs, produces and markets a wide variety of bobbleheads. More information is available at http://www.BobbleheadHall.com.